Waltzing Matilda: This little piggy wants to play! This little piggy wants to play! What do you say to a sweet girl who's dearest wish is to spend her birthday playing with her BFF cousins? You say, "Let's PARTY!" 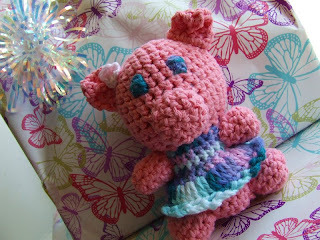 This little piggy was crocheted especially for the birthday girl. She loves piggies and we are happy to indulge her. 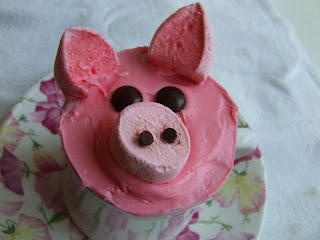 We are also bringing decorations to make piggy cupcakes once we get there. This is a mock up that I made on the bottom of a coffee cup. The ears were made by cutting a strawberry marshmallow on the diagonal and dipping the cut end into pink colored sugar. The snouts were made by cutting a marshmallow in half and the nostrils were mini chocolate chips. Those have a tendency to melt really fast so they didn't work for the kids. Erin used some gel frosting instead but mini M&M's could also work. And in honor of Hatchick's birthday, we will leave you with some porcine humor because these little piggies gotta fly! What do you call a laundromat for pigs? Why did the three little pigs fall asleep every time Grandpa told stories? 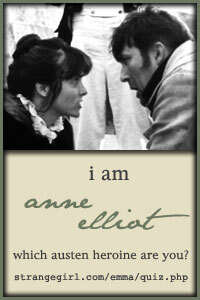 - Because he was a boar. How did the farmer know the fox was stealing eggs? - The pig squealed on him. Why doesn't anyone want to play on Peg Pig's football team? - Because she hogs the ball! What is Peter Pig's favorite position on his baseball team? What did the sow put on her piglet's sore snout? What do piglets do after school? What did Farmer Joe give Farmer Jill for her birthday? What kind of party were Mr and Mrs Pig invited to? - A swine and cheese party. What did the pig say when the mean old farmer grabbed him by the tail? - This is the end of me! What do you call an over anxious television reporter? What do you call a pig who competes in the Olympics? What do you get when you cross an actor with a pig? What a dear family you all must be! The doll is adorable! so cute! Have a great celebration! I had a little piggy like that growing up:) It was my favorite! How much fun that will be for her! You are really creative. I think my kids will love the pig humor. What do you call the vehicle that takes the pig to the hospital? A ham-bulance! 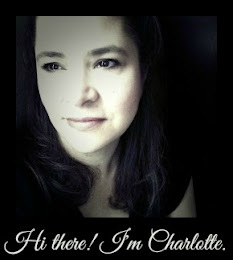 PS Can you tell I'm getting caught up in my blog reading?